To contribute to the expansion of Warsaw underground, ArcelorMittal Europe – Long Products supplied more than 20,000 tonnes of rebars. 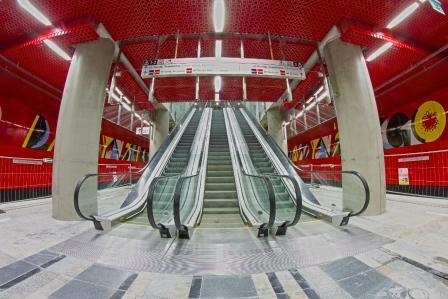 In the coming weeks, the second line of the Warsaw underground will be inaugurated. 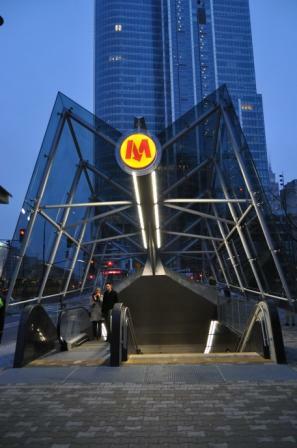 This development of Warsaw’s Metro provides a welcome transportation alternative to Warsaw citizens. Stal Service (the cut and bending company which supplies steel structures for construction projects) has been collaborating with ArcelorMittal Warszawa since 2008. The relationship between our companies, as well as the good customer service and reliability offered by ArcelorMittal Warszawa, was the reason why we were chosen for this project. ArcelorMittal Warszawa supplied more than 20,000 rebars (reinforcing bars) from 20 mm to 32 mm of diameter, grade B500SP EPSTAL for the construction of the new stations. The construction of the central section of the second Warsaw metro line began in September 2010. It is 6.1 km long, including 600 meters of tunnel under the Vistula River and a 500-meter tunnel connecting the first and second metro line. It has 7 stations, located at a depth of 13 to 23 metres. “This is another important project realised in Warsaw using our steel. Our rebars are already present in Legia soccer stadium and in the Museum of the History of Polish Jews - now they have been used in the construction of the second metro line stations. Our steel rods served so far Warsaw citizens during sporting and cultural events, now they become part of modern transportation solutions - much needed in a city with so many traffic jams as Warsaw is” highlights Marek Kempa - CEO of ArcelorMittal Warszawa steelworks. Each station has been built with a specific color. Andrzej Choldzynski, author of the architectural concept for the second line of the Warsaw underground collaborated with Wojciech Fangor, world-renowned painter and exponent of Op-art (Optical art). This cooperation gave birth to M-shaped roofs in different colors over the entrance to tube stations and large colorful inscriptions in all seven stations with their names, written in characteristic typeface letters by Wojciech Fangor. 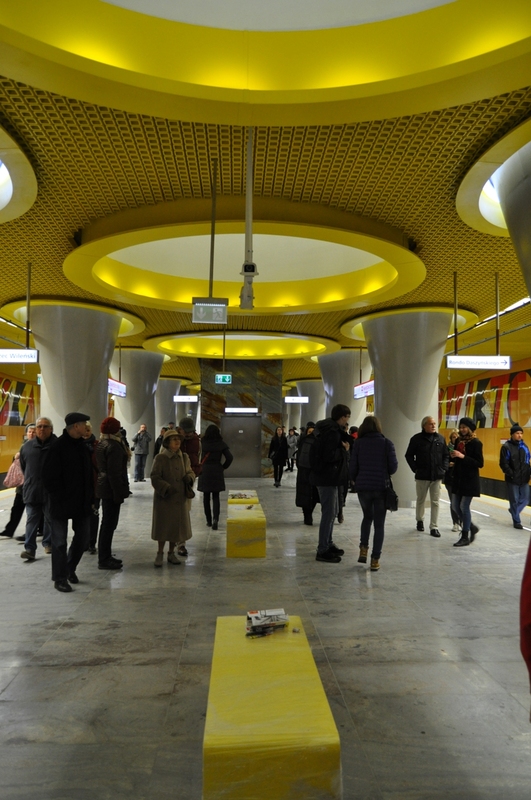 In this way, the seven stations of the Warsaw Metro became the largest underground Op-art gallery. The construction of the second line of the Warsaw underground is co-financed by the European Union Cohesion Fund under the Program: Infrastructure and Environment. Ultimately, the second line will have a length of 31 km and include 28 stations, 6 more stations in both directions will be completed by 2018. The full second line will be finalized by 2020. © Metro Warszawskie sp. z o.o.